The Sunoco gas station a Ridge and Midvale avenues in the East Falls neighborhood of Philadelphia has been plagued by aggressive panhandlers, including some teens, seeking to be paid by customers to pump their gas. Some customers say they have had rocks thrown at them after they have refused to pay. Bill Epstein realizes what’s happening at the gas station in his Philadelphia neighborhood happens all across the city. But when you have children throwing rocks at people, and threatening customers when they don’t let them pump gas for money, he just had to speak up. 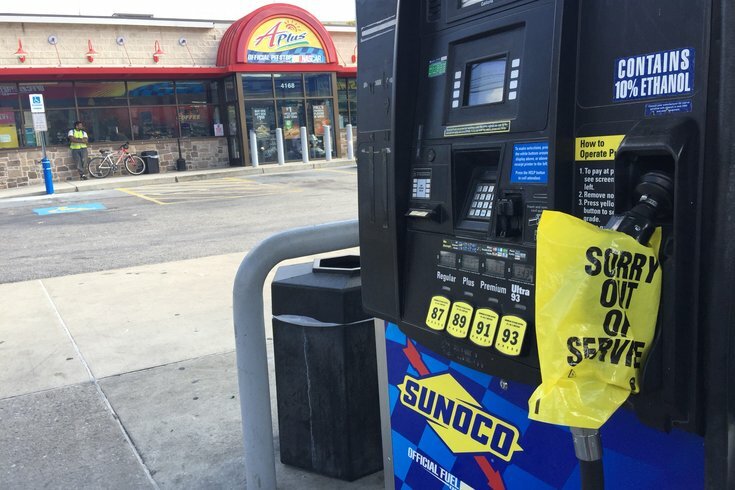 Last month, the president of the neighborhood’s Community Council took to the Next Door website to alert residents about “troubling” problems at the Sunoco station at the intersection of Ridge and Midvale avenues. The purpose of Epstein’s post was to let residents know that a Sunoco investigator will be on hand at Monday night’s East Falls Community Council meeting (7 p.m. East Falls Presbyterian Church, Vaux and Midvale avenues) to discuss what they’re doing to help residents and customers feel more comfortable. On Friday, he spoke with PhillyVoice about the ongoing issues, which both Philadelphia Police and Sunoco said they were aware and taking steps to rectify. Epstein said that “for the better part of the summer,” teenagers and preteens headed to the gas station located just off Kelly Drive. Initially, they would ask customers if they could pump their gas for them. “I was down there one day early in the summer and was asked if I wanted one to fill my tank for 50 cents. I told him ‘no thanks,’ and he left me alone,” Epstein recounted. “When I was getting in my car getting ready to leave, I heard a woman yelling, ‘No! No! No!’ He was literally grabbing the pump out of her hand. That near confrontation didn’t have much of an impact for different groups of kids – “some are more polite than others” – who targeted the gas station, according to Epstein. “It quickly moved from holding the door to the store open for tips to outright criminality,” he said. “If you said no, they would ask if they could hang the pump up for you. And, if you did that, they were leaving it still connected. When you drove away, they’d whistle for a friend to come over and they’d fill up on your credit card. In one instance, a pair of girls trying to sell things to customers were asked to leave the property by a Sunoco investigator. They responded by throwing rocks at him before hopping on a SEPTA bus, which he followed to North Philadelphia, where the girls got out at, ironically, another Sunoco station. While some in the neighborhood hope that the start of a new school year will help cut down on these incidents, Epstein said some were at Sunoco this past Saturday and Sunday. “That tells me they’re going to come back on Saturdays and Sundays, maybe even after school,” Epstein said, noting that police and Sunoco are “trying as hard as they can to help." Jeamy Molina, a Sunoco spokesperson, said the company "has been in constant contact" with police and the EFCC. "We've kept a log of all the incidents that have occurred in the area, as well as pictures, and provided those to the police department," Molina said. "We will push to create a comprehensive strategy with police to stop these incidents from continuing to occur." Epstein said the company has been cooperative, but has seen the impact of the situation. He brushed off any online chatter of boycotts and urged customers and residents not to engage any of the children and teens at the site. He noted that it’s emblematic of an issue that extends well beyond East Falls. “When I was there this weekend, I rolled my windows down and asked, ‘If I had a job for you, would you take it?’ Their eyes lit up,” he said. "We need to find better things for kids to do than harass people at the gas station for money.